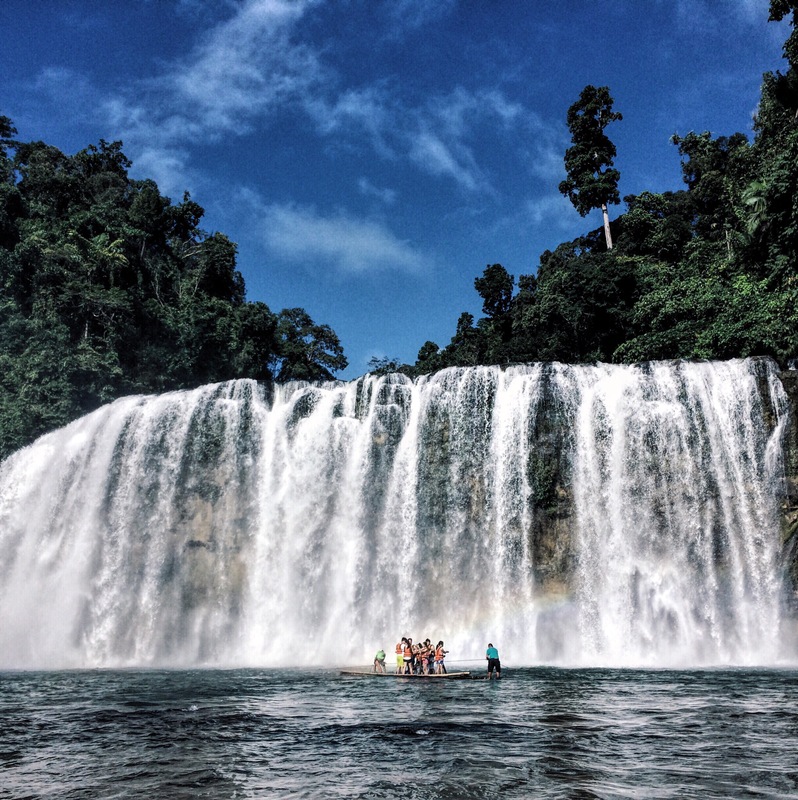 Tinuy-an Falls is one of the major tourist attractions in Bislig, Surigao de Sur. It is a multi-tiered waterfalls featuring a curtain-life drop on its middle tier. It is approximately 55m high and 100m wide. 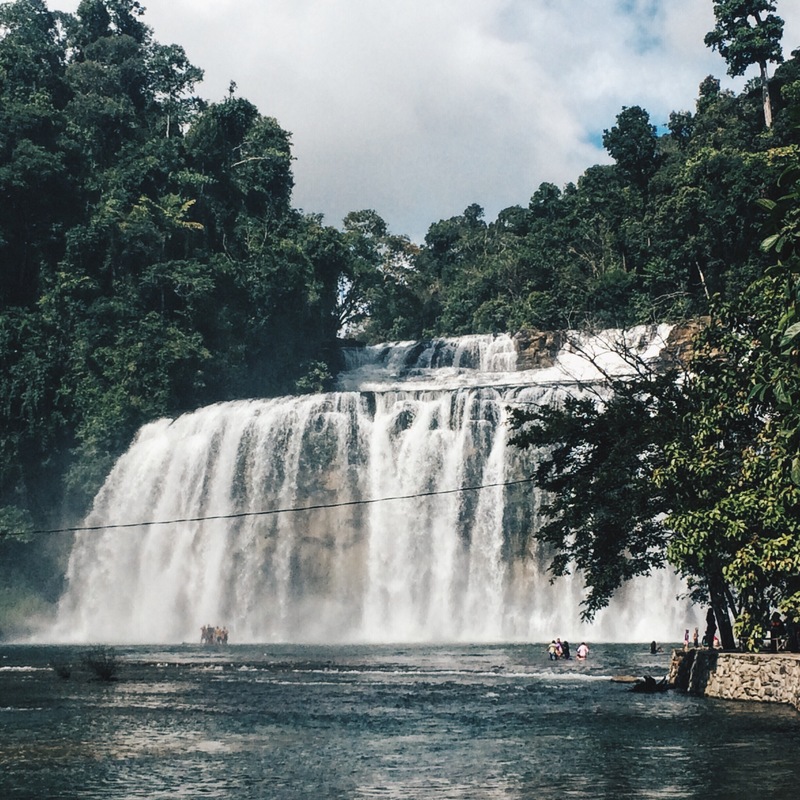 Some travelers would call it as the Niagara Falls of the Philippines and is also said to be the widest in the country. Book a flight to Laguindingan Airport. This is the main city airport of CDO located between the cities of Iligan and Cagayan de Oro. Cebu Pacific and Philippine Airlines have direct flights to Laguindingan from Manila and Cebu. From the airport, take a shuttle to CDO City Proper. We took the LAX Shuttle which stops at Centrio Ayala Mall and Agora Integrated Bus Terminal. Drop off at Agora Eastbound Integrated Bus Terminal. Travel time is 1 hr. From Agora Bus Terminal, ride a bus to Butuan City. Bachelor Express and Rural have hourly trips to Butuan. Drop off at Butuan City Integrated Bus terminal. Travel time is 5 hours. From Butuan, ride a Bachelor Express bus to Bislig. Ride a bus with signboard to Mangagoy. They use the signboard Mangagoy which is the commercial center of Bislig. Drop off at Mangagoy bus terminal. Travel time 5 hours. From Mangagoy bus terminal, hire a habal-habal to bring you to Tinuy-an falls. Travel time 40 minutes. We entered Mindanao via CDO as part of our 9-day Mindanao adventure to Davao Oriental, Surigao del Sur, Butuan, CDO, Iligan and Camiguin. CDO is probably the farthest entry point. Other possible entry points are via Tandag City or Butuan City flights. If you’re entering via Tandag, ride a bus to Butuan City drop off at San Francisco. From San Francisco Terminal ride another bus to Mangagoy. If you are planning to stay the night in Bislig (Mangagoy) there are inns and hostels in Mangagoy. Tinuy-an is one of our stops for our 9-day Mindanao adventure to explore Davao Oriental, Surigao del Sur, Butuan, CDO, Iligan and Camiguin. 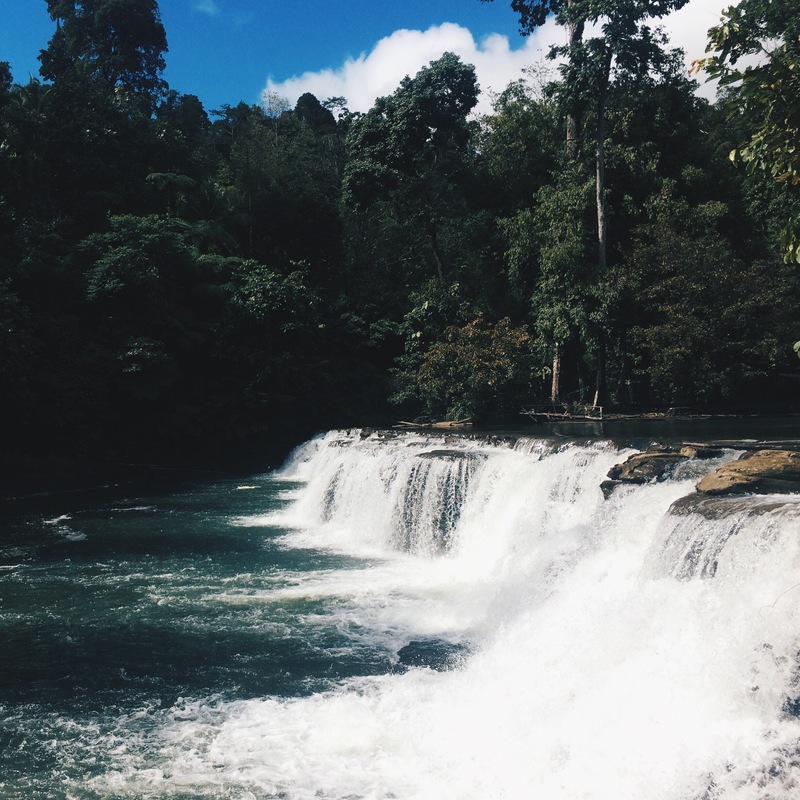 We originally planned to go to the farthest stop which is Aliwagwag Falls (Read more: Aliwagwag Falls Davao Oriental: Most Beautiful Waterfall in the Philippines) before visiting Tinuy-an on the way back. But due to inconsistencies in bus schedule going to Cateel, we decided to explore Tinuy-an first. Upon arriving at Mangagoy bus terminal, you will be flocked by habal-habal drivers offering to bring you to the falls. Remember that the acceptable rate is P200 one way. Travel took almost 45 minutes. You will pass by unpaved steep roads so hold on tight. 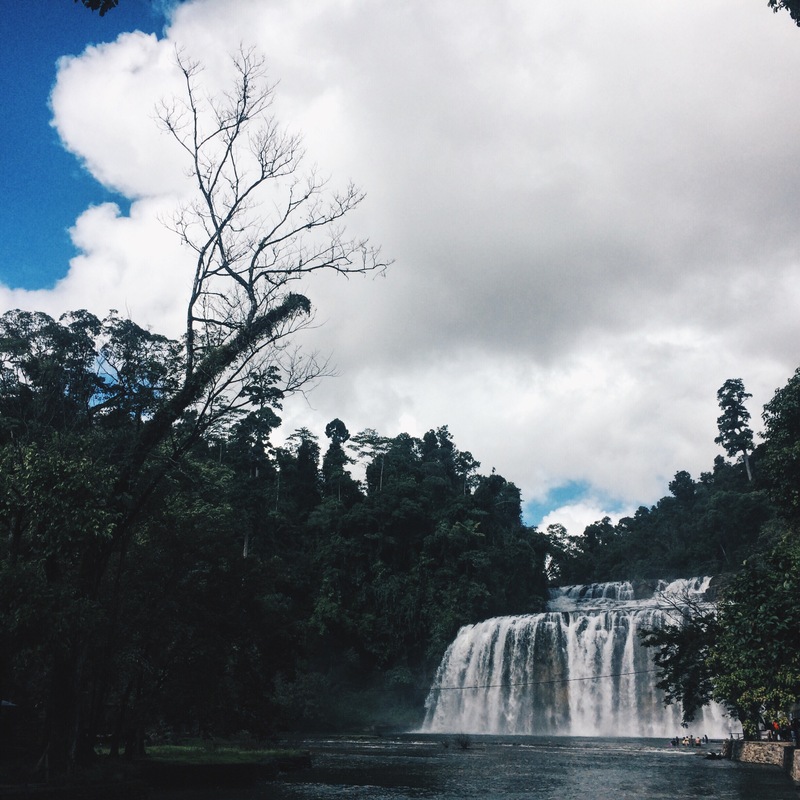 After paying your fees and a short walk inside the park, you will be welcomed by the massive Tinuy-an Falls. Approximately 100m wide, it is said to be the widest waterfall in the country. 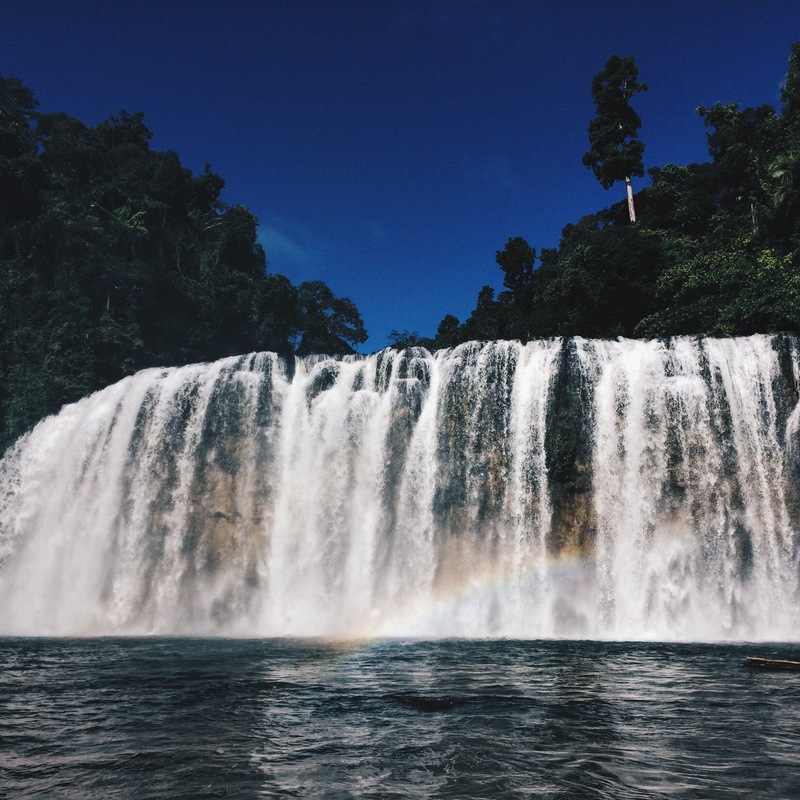 You may visit Tinuy-an falls anytime of the day but the best time to visit is in the morning at around 9am where there’s a small rainbow at the base. The base is very suitable from swimming. You may also rent a raft to bring you closer to the drop. If you want to go to the top tier, climb the stairs at the right side. Guides are required but there’s no fixed fee. Cottages, life jackets and rubber rafts are available for rent. They also have a camping site if you want to camp overnight. They have air-conditioned rooms available around the area as well. You may also stay overnight at the cottages beside the basin. Freshening up wouldn’t be a problem since they have available shower and dressing rooms. It’s best to visit in the morning so you’ll be able to see the rainbow at the waterfalls’ base. Pahingi din po sana ng bus fare from butuan to bislig at saka Mangonoy Terminal to all stops. Salamat ulit. Pano kayo bumalik sa terminal? Mag kano ba yung round trip ng habal habal? Plano kasi naming pumunta this july. Thanks!